The Pacific Nine, with its incredible vistas and rolling fairways, was opened in October 2008 and the Highland Nine opened June 2010. Total course length is 6,603 yards with six different sets of tee markers for all skill levels. Highland Pacific is a great place to play with friends, try our men’s or ladies’ night and meet new people. Please call the golf shop for tee times 250-478-4653, or book online. In town for a golf vacation? 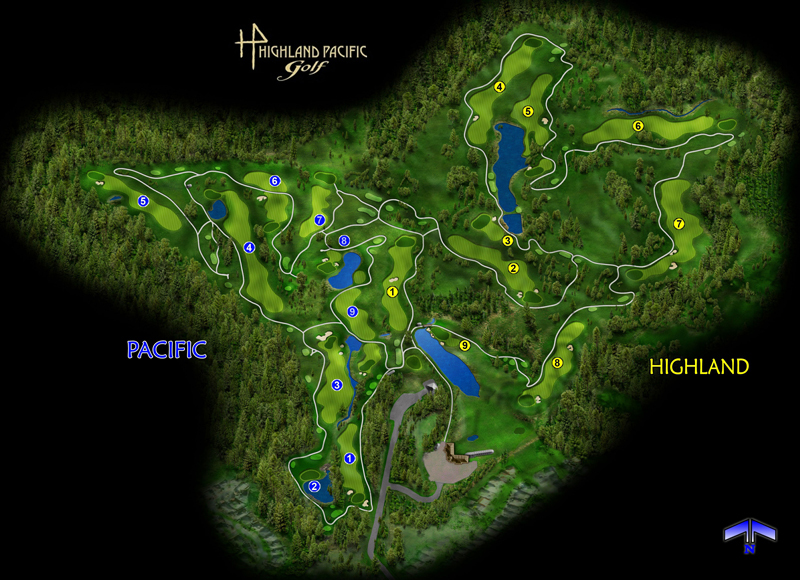 You won’t want to miss Highland Pacific, Vancouver Island’s newest golf gem.